In the past few years international trade has increased import of goods, which has consequently increased the demand of import services as well. The two basic and the most common transportation modes available for domestic and international imports are via air and ocean, and this is what we will discuss in this article. You can compare the benefits of both modes and decide accordingly which one suits your requirements best. Air or Ocean Import Service? Nature Of Goods – This is the basic and foremost factor that you should look into. If you want to import crops, grains or some other fragile items, then you should opt for air import services. On the contrary, if you want to import heavy machinery or containers then ocean import services will be suitable for you. Cost – The cost factor varies for both services. Transportation through air costs slightly more than ocean. Therefore, if you are on a budget then we advise you to go for the latter option unless you are importing chemicals or food supplies, in which case you should opt for air import services despite the higher cost. 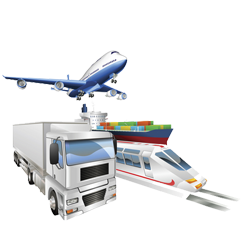 Import License – If your imported goods appear in the restricted list then you need to acquire an import license for either of the transportation modes. These items are listed under Canalized list and are allowed to be imported through Canalized agencies only. Consumer goods, on the other hand, can be imported without this license. The importer or the authorized agent should file a Bill of Entry in the prescribed form which involves the name, address, code, license number and all the essential details of the importer. The detail of the imported packages should also be included in the form. It involves number of packages, nature of imported goods, quantity of imported goods, their description and package description. A declaration should be provided that verifies the attached details. This Bill of Entry should be signed by the Customs House Agent as well as the Importer. Once you are done with all the paper work, you will face no problem in importing goods from within the country or outside the country. Importing of goods via air and ocean has increased the trend of global business culture from which various organizations as well as nations have benefited a lot. Moreover, it has also increased job opportunities for people of respective countries. So, no matter which type of import service you are selecting just make sure that they are reliable and you’ll be good to go!